"I like to think that if you put your trust out there; if you really give people the benefit of the doubt, see their best intentions, people will rise to the occasion." Meet Ned (Paul Rudd). He has just been released from a jail term after selling marijuana to a uniformed police man. 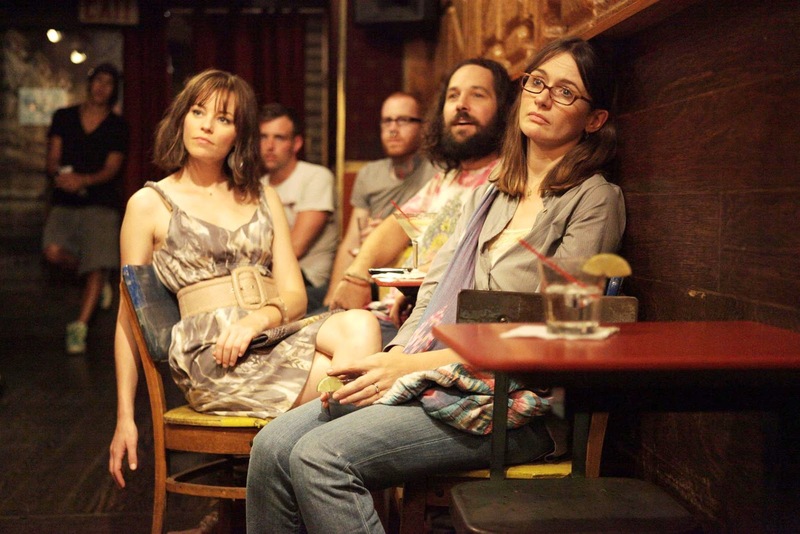 His three sisters (Elizabeth Banks, Zooey Deschanel, and Emily Mortimer) pity him, because his idealist approach to life seems to get him into easily avoidable trouble. Lots of these difficulties start to begin in Ned's sisters' lives when he returns home. Though this movie appears to be a formulaic laugher involving an ignorant idiot, it is not. The majority of recent lazy comedies (I'm looking at you Adam Sandler) involve no real strong themes, but cookie cut a bunch of gags (and sometimes excessive product placement) to finish with an "everything is okay and back to normal" ending. Characters didn't really earn anything, nothing is truly learned, and all are happy. Our Idiot Brother plays like Ned will learn a thing or two about not doing dumb things, but he actually lives a guilt and shame free life. His honesty and belief in the best of people becomes a reflection of all the characters who come in contact with him. The sisters, his girlfriend, and his nephew's reactions to Ned's nature show more about themselves than Ned. 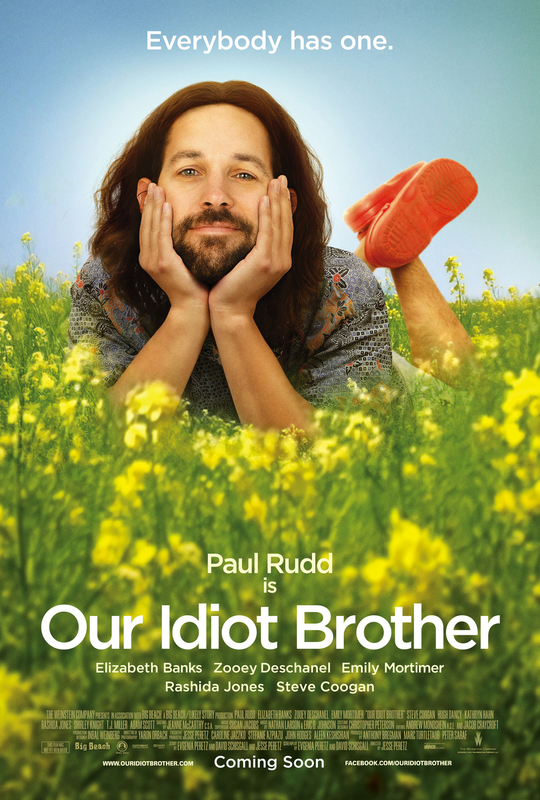 Paul Rudd is at his best, creating a lovable and good-hearted oaf. His approach modifies the concept of the stupid male protagonist a la Forrest Gump. Instead of having to "fix" all the problems he created, people begin to see where the issues truly came from. Ned's character makes you wonder how different society would be if we lived with a heart as big as his.